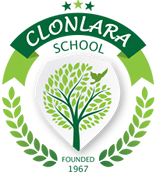 On September 20, 2018, Clonlara School hosted Blake Boles for his talk titled, “Yes, you can quit traditional high school and everything will be okay!” Blake shared his personal education journey and passion for self-directed learning with the school community, and inspired the audience with accounts of teens who, like many Clonlara students, have taken charge of their learning. 32 min 25 sec – No sound during Blake’s “Can Unschoolers Get Into College” video. View the original. Blake Boles is open-minded, interested in everything, courageous, and passionately committed to individual development. I would expect good things to happen for young people who had the good fortune to hang out with Blake for a while.